To you it is just a dome, to me it is a treasure. One of my memories growing up was the time I lived with my grandparents in Bearsden on the outskirts of Glasgow. My brother had started school a year before me so as my grandmother was busy doing housework and cooking I, feeling abandoned, would explore my grandparent’s home. It was on one of those afternoons that I became aware of birds, spotting the red breast of a robin for the first time – to this day I find robins the most beautiful birds of all. I also noticed fruit for the first time and would pick blackberries off a bush in their garden – somedays I would eat them and other days I would crush them underfoot. Then there was the large scary garage with dust and cobwebs that somehow held a fascination over me. I was four and the world was new. The highlight of my afternoons though was sneaking into my grandmother’s bedroom. This was her world. Here I became aware of my first artist, Paul Gauguin. My great grandmother had spent time in Tahiti and I guess a love of Polynesia must have been passed down to my grandmother as her room was lined with prints of Tahitian women on a beach. Of all the things on all those days there was only one thing that held my attention the most. It was my grandmother’s album cover of Rimski-Korsakov’s Scheherazade. 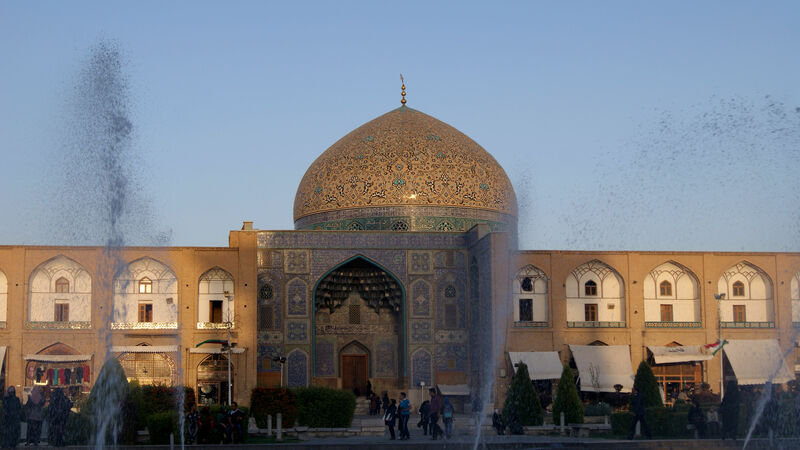 On the cover was the dome of the Sheikh Lotfollah Mosque in Isfahan. 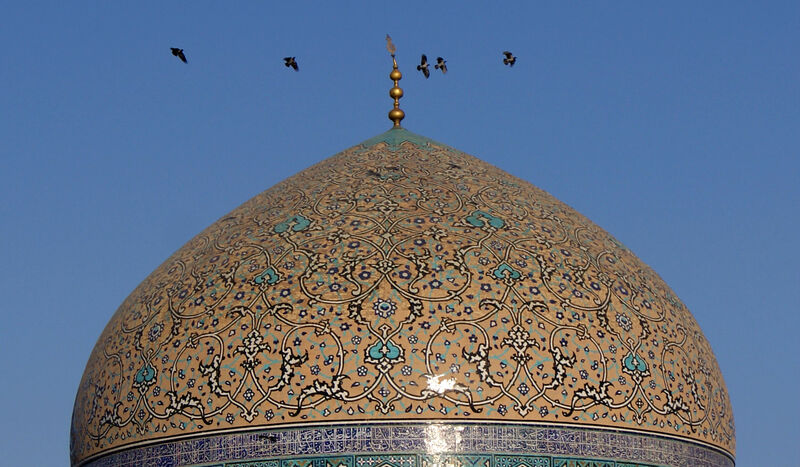 I knew nothing of mosques or architecture, it was the simpleness of the pattern against the blue sky. It seemed faraway and exotic and kept me fascinated for hours, I would stare at it until my eyes watered. It’s funny how we all evolve and become our own unique personalities. Who knows why some become obsessed with religion at a very young age while others know for sure that they will become a gangster or a lawyer. My big love, the thing that in the end directed my life was travel, to always move and to always see the new. 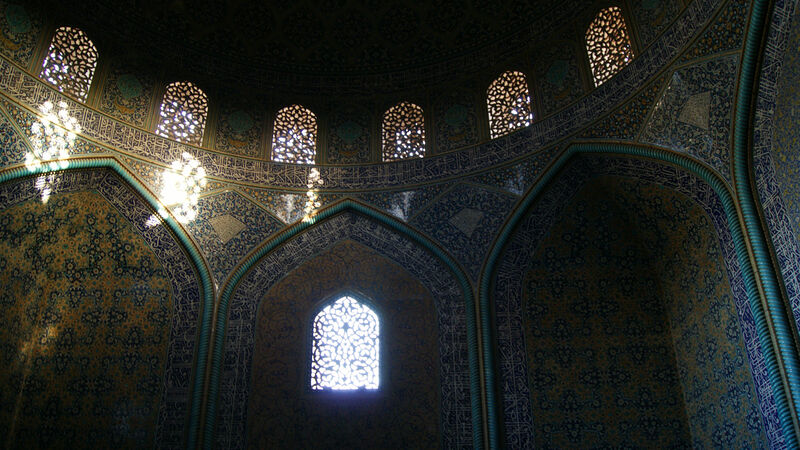 The inner dome of the Sheikh Lotfollah Mosque. 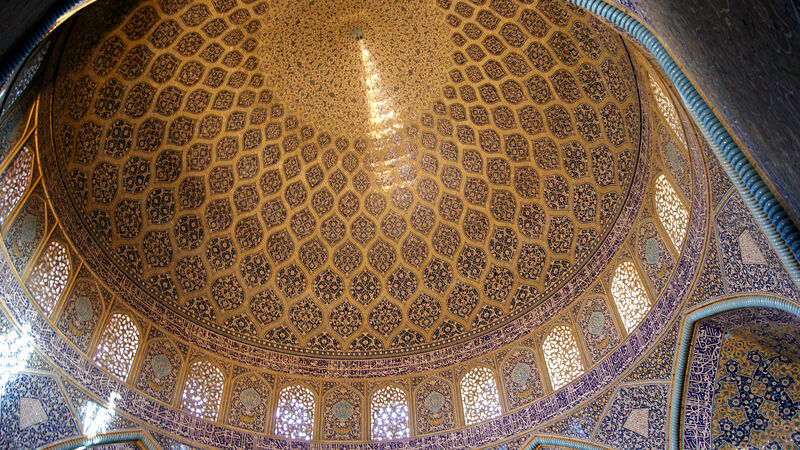 Towards the center of the dome is a triangular ray of light which is called the “the peacock”. As the day draws to a close the tail of the peacock also grows narrower. 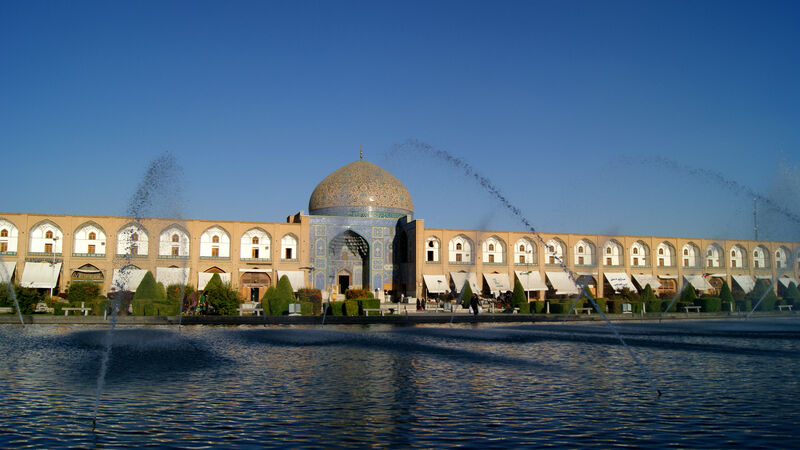 This entry was posted in Iran and tagged childhood, grandmother, Isfahan, paul gauguin, Sheikh Lotfollah Mosque. Bookmark the permalink.